Royal Troon provided us with one of the greatest theatres for an Open Championship in the 145 year history of the event. 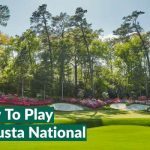 The gladiators duelling on the final day were Henrik “Iceman” Stenson against Phil “The Thrill” Mickelson who led an incredible charge, pulling away from the leaderboard in ruthless fashion. When all was said and done Stenson had finished 3 shots ahead of Mickelson, who in turn had dusted the field too, finishing a whopping 11 shots ahead of JB Holmes in 3rd. The Duel in The Sun between Jack Nicklaus and Tom Watson at the 1977 Open Championship has long been regarded as the greatest ever major championship but what we saw at Troon took things to new heights; something even Nicklaus himself has admitted. “On that day, Tom got me, 65-66. Our final round was really good, but theirs was even better. What a great match.” said The Golden Bear. Their combined score was -14 on Sunday. This was 9 shots better than the second placed pairing of Rory McIlroy and Emiliano Grillo. Whilst some might say that the wind had died down by the end of the day making their round slightly easier, given the pressure they were under while playing for the title with large crowds following the action, their scoring was simply sensational. Many compared it to The Duel in the Sun which featured Watson and Nicklaus at nearby Turnberry but this was even better with scoring records being smashed at every turn. Phil lit up the first day with a round of 62.5, whilst official scores will state 63, he was able to get at least half the ball into the hole on 18 as it grazed the hole for what would’ve been the lowest score ever posted at a major. Mickelson was able to continue his rich vein of scoring with rounds of 69, 70 and 65 to fall just 3 shy of a rampaging Henrik Stenson and while he wasn’t able to claim a second Claret Jug, Mickelson is clearly a force to be reckoned with following a change in coach which has seen him enjoy a new lease of life. He often commented during press interviews that he felt “more on plane” which enabled him to have a greater control over the ball where he ranged between 79% & 57% for fairways hit. If it weren’t for a special display from Stenson, Mickelson would’ve embarrassed the world’s best golfers in a style seemingly reserved for Tiger Woods around the turn of the millennium and the 11 shots between him and J.B. Holmes who finished in 3rd place is the most ever at a major championship. 25 birdies in 72 holes with an eagle thrown in for good measure. Stack that up against just 7 bogies through all 4 rounds. Enough said. GOLF HAS A NEW HERO. AND HE GOES BY THE NAME OF BEEF! Stenson and Mickelson may have grabbed the headlines as they lapped the field, setting scoring records along the way, but there was only one man who truly captured the hearts of the crowd at Royal Troon. 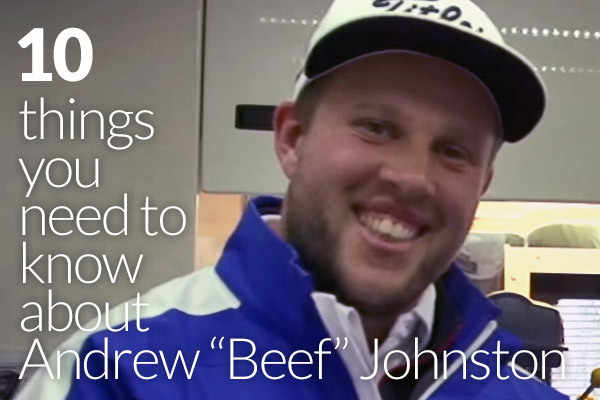 “BEEEEEEEEEFFFF” became the Open Championships soundtrack, as Andrew Johnston charmed his way around Royal Troon, garnering an army of followers along the way. 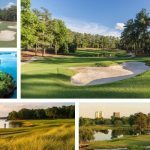 The leaderboard each day saw a barrage of birdies as players took advantage of the easier front nine and as they made their turn for home, their scores plunged as Troon began to take hold. In terms of overall difficulty, just 2 of the holes on the front 9 ranked in the top 10 (5th & 9th holes). Perhaps the best example of this was seen with amateur Scott Gregory, the winner of The Amateur Championship in 2016. Gregory started like a train on the first day, briefly sitting at the top of the leaderboard as he reached -4 through 10 holes. His round came unstuck on the notoriously difficult 11th hole where he carded a triple bogey 7, further dropped shots followed as he fell down the leaderboard, eventually signing for a +7 round of 78. 36 shots for the first 10 holes and 42 for the last 8. Gregory was able to almost repeat the feat in his second round where he carded 34 for the front 9 but followed that with 39 for the back 9. Gregory missed the cut by 5 shots with his front 9 scores combined being an incredible 67, whilst his back 9 combined was 84. 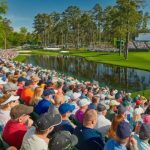 It is the 11th hole which caught the biggest interest all week with, perhaps the opening day’s scoring sums it up, the average score was 4.7 (it eventually plateaued at 4.55 for the 4 rounds). Just 6 birdies were scored all day with Duval, Bowditch and Wall walking off with nines. Andy Sullivan was able to lead scoring for the week here with a score of -2, miles ahead of the average for the field. I’m not sure about you guys, but I’m pretty sure 99% of the time I saw Rory during The Open coverage, he was narrowly missing an eminently makeable birdie putt or another of his par-saving attempts was sliding by the edge of the hole. The fact that McIlroy finished in a tie for 5th is testament to how good his ball striking is in comparison to the majority of the rest of the field and while he probably wouldn’t have kept pace with Henrik or even Phil, he’d have been a heck of a lot closer if he’d holed even a couple of putts more per round. Heading into the PGA Championship at Baltusrol, don’t be surprised to see his name at the business end of the leaderboard. If his putter even approaches “hot”, don’t be surprised to see him claim a 5th major championship. Of all Major Championships played in Men’s golf, there have been no less than 270 Major Champions from the USA. Sweden is now joined that list, and alongside France (Arnaud Massey), Wales (Ian Woosnam), Canada (Mike Weir) and South Korea (YE Yang), is now among the countries which have produced just a solitary major champion. Surprisingly for some; Scotland is second on that all-time list with 55 Major championships. In an age where course designers seem to think length is the only way to make a par 3 challenging, commonly stretching such holes to well over the 200 yard mark, the 8th hole at Royal Troon, affectionately known as The Postage Stamp, is a reminder that ingenious design and clever architecture can strike fear into the hearts of even the best players in the world…even if the hole weighs only in at a measly 123 yards in length. The Postage Stamp might only be a flick with a wedge on a calm day but with the Coffin Bunker lurking by the green, as well as other menacing sandtraps and some wicked run offs, not to mention some pretty gnarly rough; it can really pack a punch. The scoring average on this hole for the 2016 Open was a little over par at 3.09 and while the players made their fair share of 2s (87 to be exact), there were also 74, bogeys, 11 doubles and 10 “others” recorded here throughout the tournament. At the US Open at Oakmont there was even a par 3 (ironically also the 8th hole) that knocked on the door of the 300 yard mark which is really taking things to the extreme and while there were fewer birdies recorded on this hole in the US Open than there were during The Open at Royal Troon, there was only 1 “other” recorded all week. 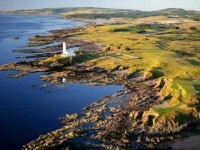 In our opinion, the diminutive little Postage Stamp at Royal Troon served as further proof that many of the world’s greatest par 3s are in fact on the shorter side. 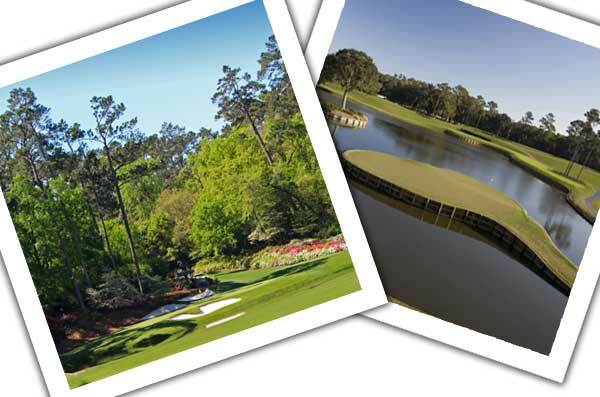 The 17th at Sawgrass get the knees knocking for the world’s best each and every year at The Players Championship it only measures 121 yards. The 12th at Augusta does the same job and that’s only a little longer at 155 yards. The 12th at Augusta National and the 17th at Sawgrass are prime examples of challenging par 3s that are nowhere near the 200 yard mark, let alone 300 yards like the 8th at Oakmont. What we’re saying is that when it comes to par 3s; less is often more. We love you Postage Stamp. 4 of the last 6 Open Champions have been 40 years or older at the time of winning. Perhaps inspired by Tom Watson’s close call at Turnberry at the age of 59 in 2009, Darren Clarke, Ernie Els, Phil Mickelson and most recently Henrik Stenson have all claimed the Claret Jug in their 40s, with only the young whippersnapper Rory McIlroy, as well as Zach Johnson, who was 39 when he won at St Andrews in 2015, having won The Open before the age of 40 in the last 6 editions of golf’s greatest championship. Of course, runner up Phil Mickelson, who came within a whisker of carding the lowest ever score in major championship history as his final putt on Thursday cruelly slipped past the hole, waving as it went, is now 46 years old too. And then there’s 49 year old Steve Stricker who is basically semi-retired, only emerging to play at a handful of tournaments each year, who finished in 4th spot. It seems golf’s oldest championship brings out the best in the world’s best golfers…in particular the more seasoned ones! Phil Mickelson set the tone at this year’s Open when he fired an opening round of 63 at Royal Troon. 63 is of course the joint lowest round ever shot at a major championship and how close Lefty came to breaking new ground and carding a 62. After Stenson had reeled in Mickelson after Friday’s round, The Open became the Henrik and Phil show, with the pair leaving the rest of the field trailing in their birdie and eagle fuelled wake. 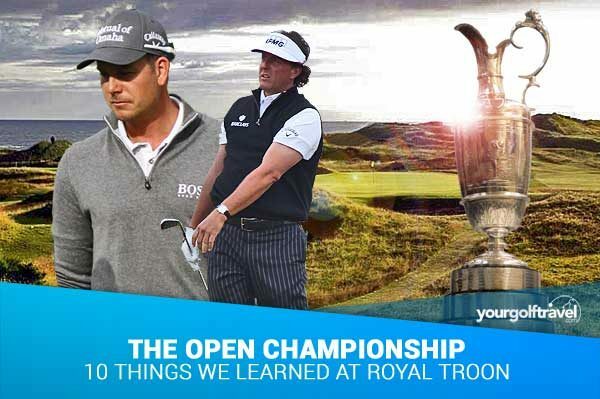 With the pair seemingly pushing each other to new heights, scoring records were under threat and when all was said and done and the dust had settled on Royal Troon come Sunday evening, Stenson had tied or broken a series of Open and major championship records. 63: Tied lowest ever final round score to win a major championship. -20: Tied lowest ever score in relation to par in a major championship. 264: Lowest ever total score in a major championship. 1st ever Swedish male to have won a major championship. After a US Open that was marred by a final round rules controversy, it was refreshing to see no such nonsense at The Open, allowing us instead to focus purely on the stellar golf being played by some of the game’s best players and a few lesser known heroes alike. Whether it was Dustin who caused his ball to move on the green at Oakmont, or the more likely explanation that a combination of greens running at 15 on the Stimpmeter + gravity was to blame, it was a shame that final round at America’s national championship became somewhat of a farce, with the big-hitting American, as well as others at the business end of the leaderboard not knowing where the lead really stood due to the USGA dilly-dallying over their decision as to whether to penalise Johnson or not. Dustin Johnson’s rules infraction, no matter your opinion on whether it was justified or not, put a dampener on the final round of the US Open and put the USGA in the firing line for many a fan. Luckily the R&A had no such problems at The Open Championship. Of course last year’s Open Championship at St Andrews had its fair share of issues too, with a Monday finish to the tournament being forced by high winds which, in combination with slick greens, lead to balls being blown about as players tried to play. It was well documented that the R&A made the decision not to cut or roll the greens at Royal Troon on Friday evening which, while leading to slower greens than pro players are used to, ensured play was able to go ahead as scheduled without incident on Saturday. As far as I’m aware, and I watched good chunks of play on Thursday and Friday, as well as every shot hit by the leaders over the weekend, there were no controversial rules infractions / decisions to report on either. It hasn’t been all plain sailing for “Lefty” since he claimed his last major championship at Muirfield in 2013. In fact, Phil’s Open Championship win was his last professional win of any kind. 3 years without tasting victory is a long time for a player of Mickelson’s undoubted ability, and with plenty of missed cuts over the past couple of seasons, you’d be forgiven for assuming that age was catching up with the popular American. Suffering from psoriatic arthritis no doubt affects his game from time to time too, but Mickelson’s stellar display at Royal Troon proved there is more than enough life in the old dog yet. Jack Nicklaus won The Masters in 1986 at the age of 46 and it was hailed as one of golf’s greatest ever performances. An aging golfing demigod, Nicklaus was considered over the hill, written off by large sections of the press, and his win at Augusta was one for the ages. With the PGA Championship heading back to Baltusrol, the site of Mickelson’s 1st major win in 2005, in a little over a week, would anyone be truly surprised if 46 year old Phil “The Thrill” added a 6th major to his haul?